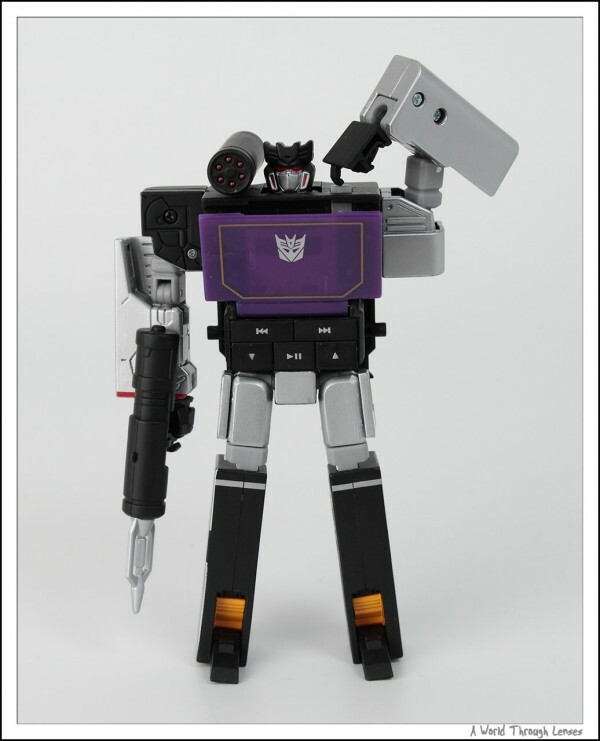 Soundwave was originally a micro-cassette recorder in the Transformer series. 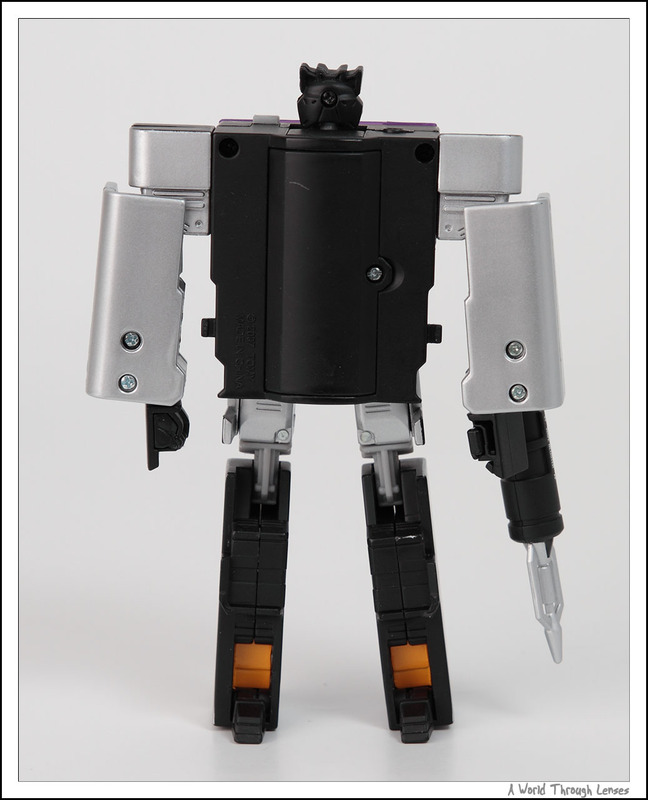 He has little transforming spy cassette stored in the deck on his chest. However, this time around when Takara Tomy is releasing Soundwave, he got a technology upgrade: now Soundwave is a MP3 player. 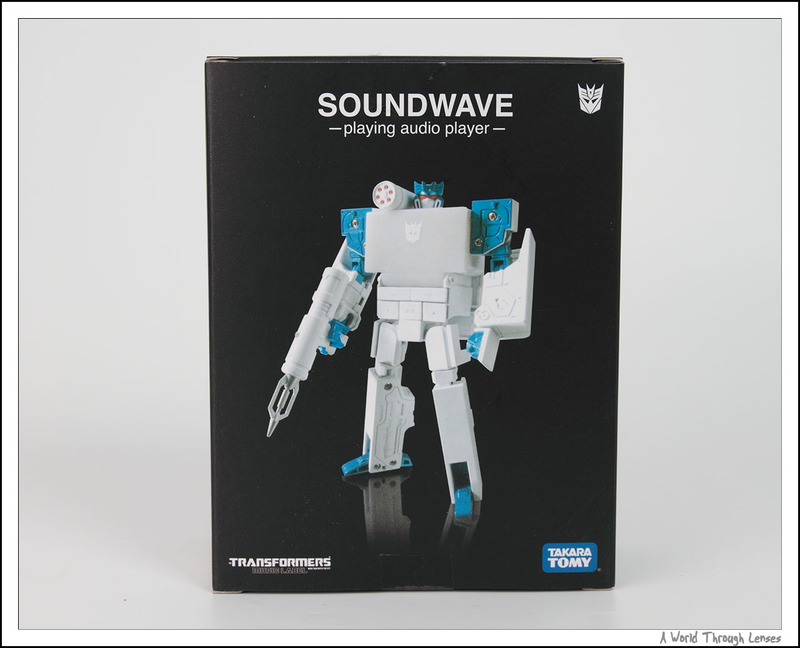 I wasn’t going to get Soundwave because as a MP3 player, you no longer have those transforming cassettes. 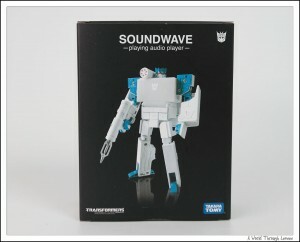 However, I saw a deal with Soundwave being sold at ¥3,000 vs. the regular price of ¥10,500. 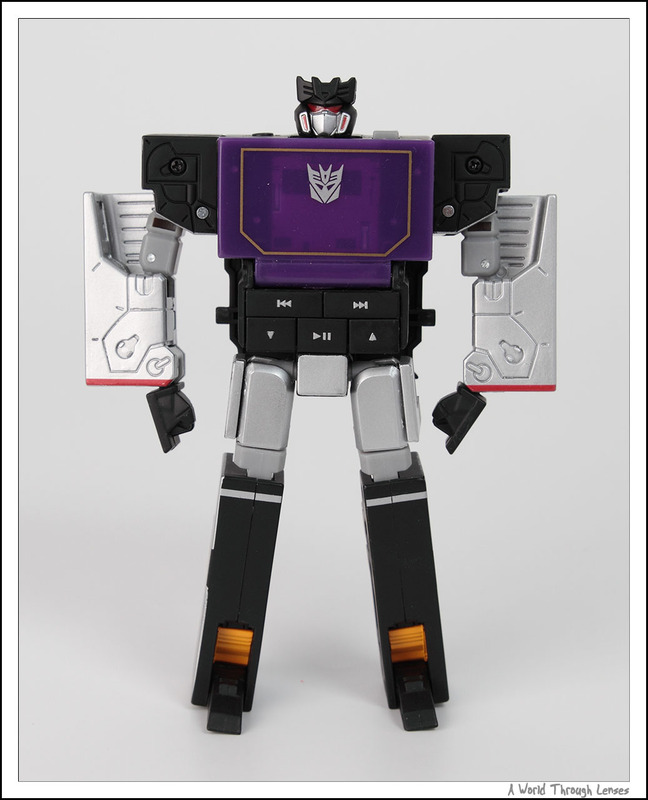 At less than 1/3 of the original price, I caved in and ordered it. 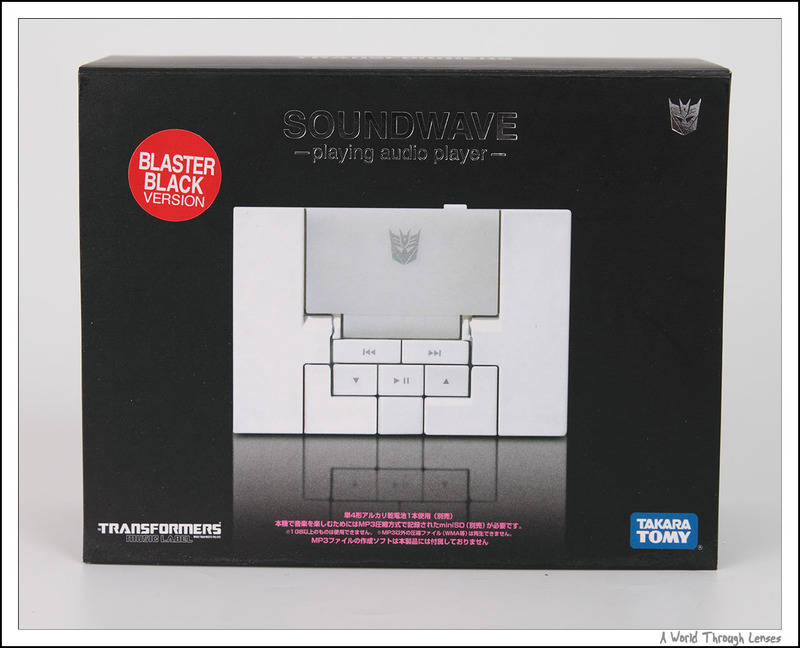 Soundwave comes in three different version: spark blue, blaster black and sonic white. Each has a different color scheme but are otherwise identical. 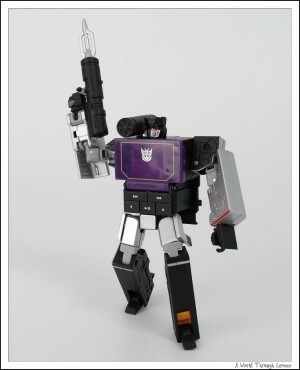 I got the blaster black version. 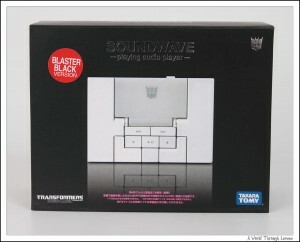 Takara Tomy Soundwave Playing Audio Player (Blaster Black). Released on December 2007 with a MSRP of ¥10,500. 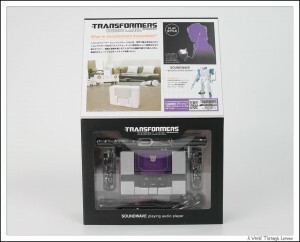 So here’s the box that Soundwave came in, front and back. 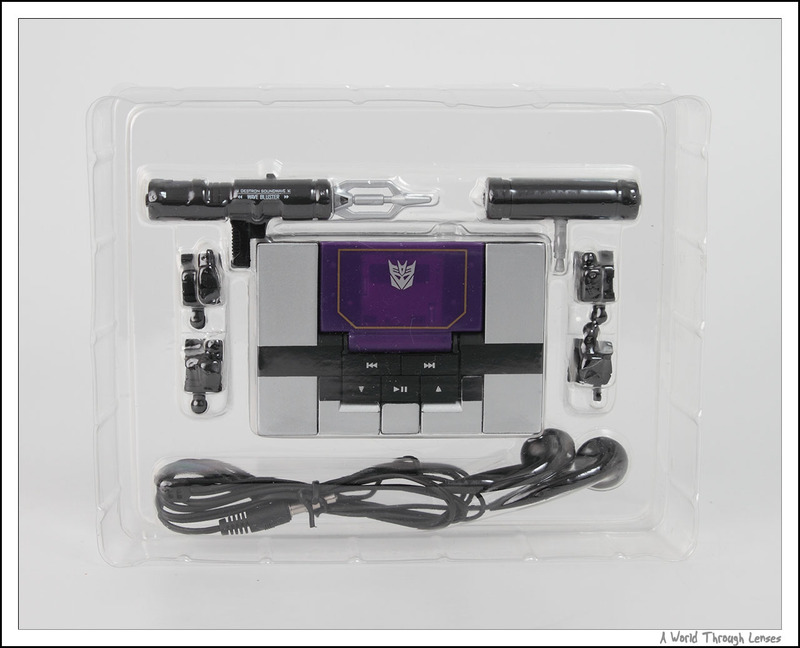 Open the flap, you can see through the transparent cover. And the inside looks like this. 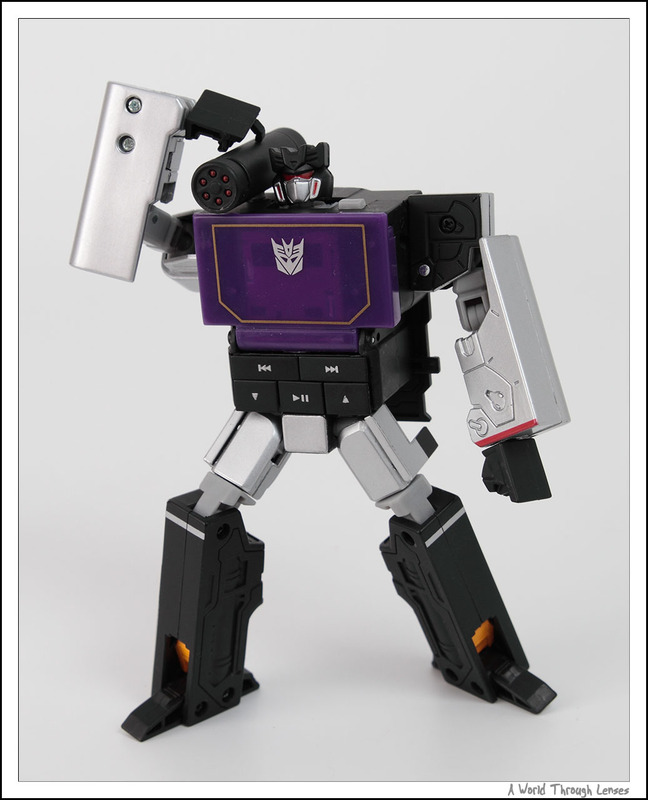 And here it is, Soundwave in his MP3 player mode. It’s fully functional with the ability to adjust volume up/down, play/stop, and skip track forward and backward. 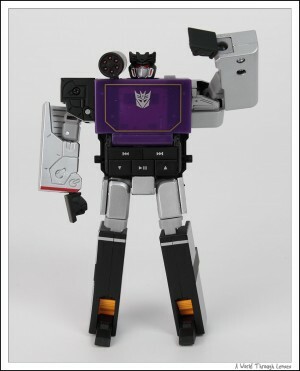 The earphone is of poor quality, but then that’s as expected. 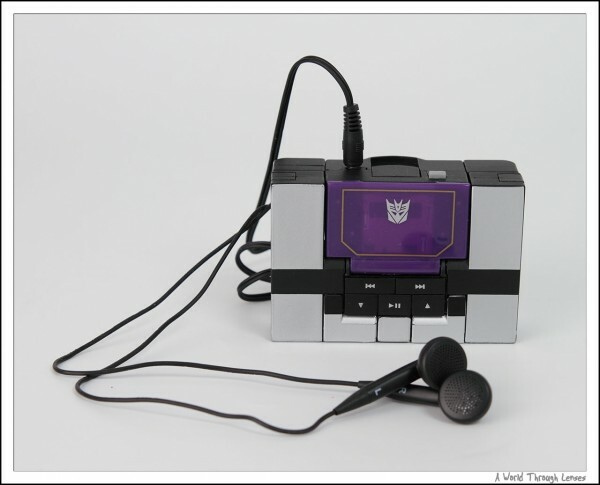 It’s not a top of the line MP3 player, just a novelty item. 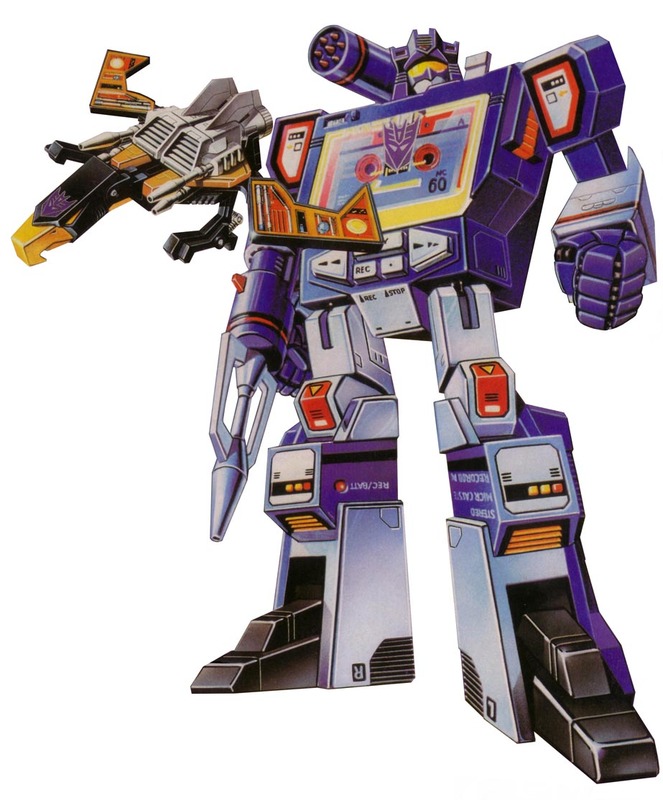 Here’s Soundwave after he trasnformed into the robot mode. 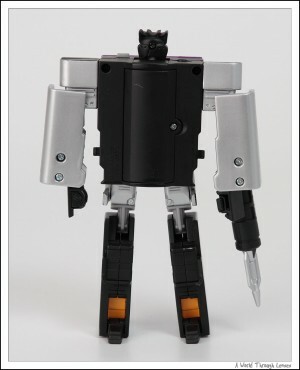 He’s got the a shoulder gun that plugs right into the earphone plug and a blaster for weapon. 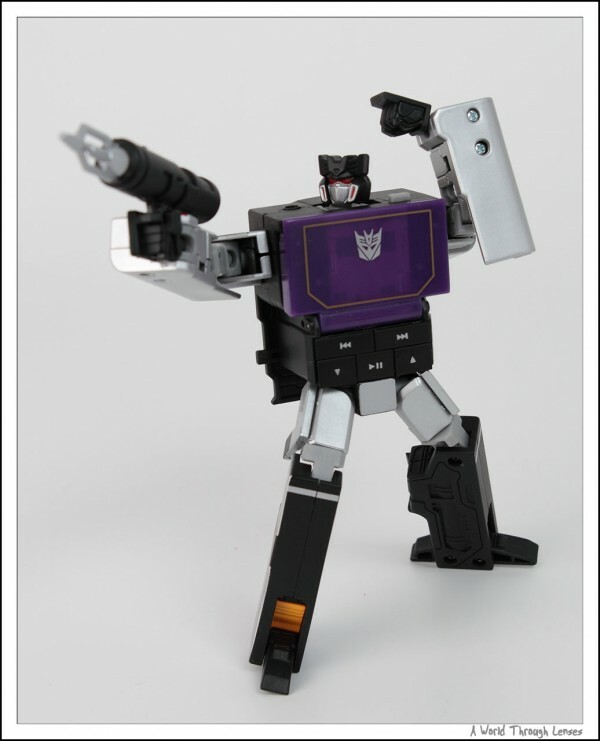 Comes with two additional sets of hands to hold the weapons. 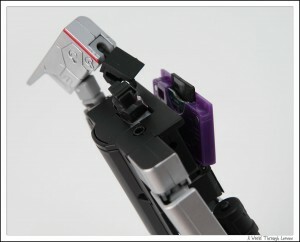 He can actually be posed to press the eject button to open the chest compartment. Here’s what the ejected compartment looks like. 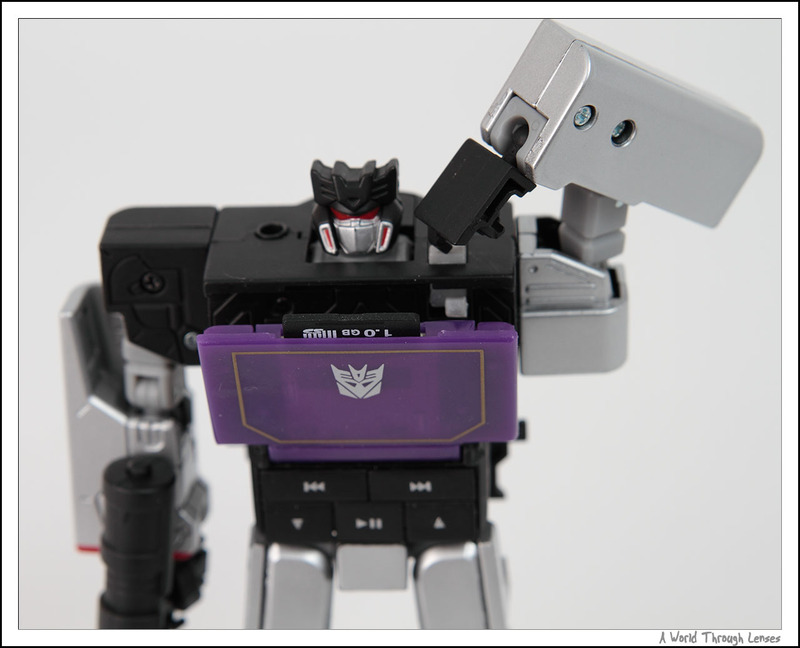 The compartment has a slot that takes a mini-SD card with a maximum size of 1GB (not included). Any MP3 on the SD card will be played by the player. 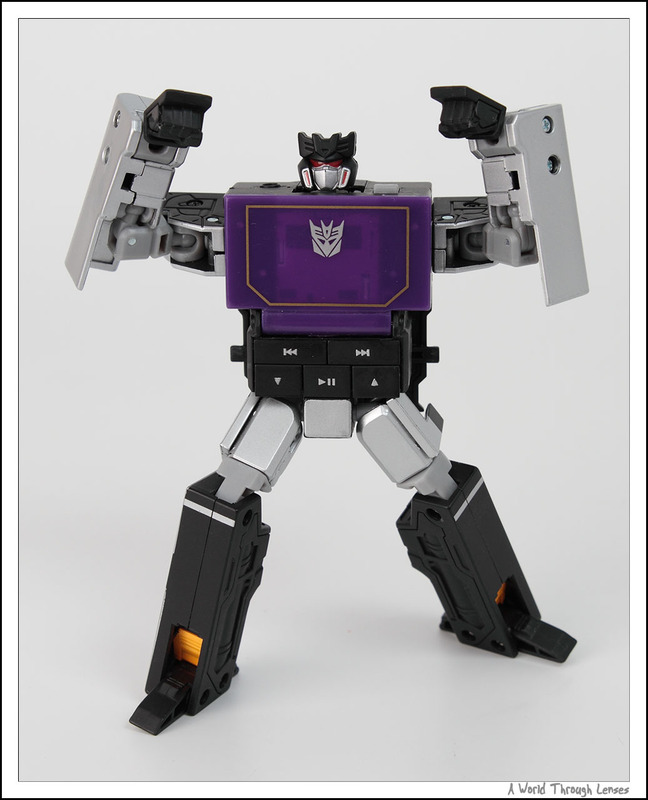 Now sure if this is Soundwave doing the electrifying caramelldansen or just Soundwave really angry that he no longer have those little spy cassettes. And here’s an 2D illustration of Soundwave.